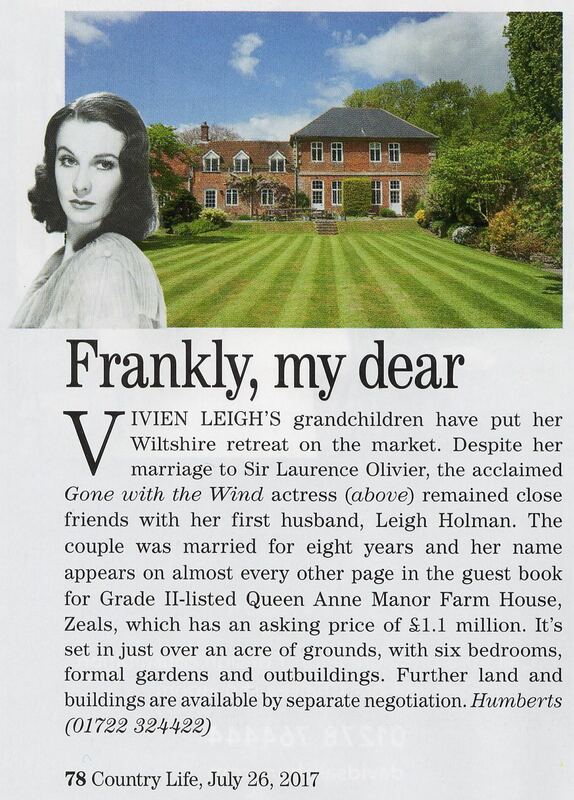 Country Life reports the sale of Vivien Leigh’s former home in Wiltshire. Article from 26<sup>th</sup> July 2017. Humberts estate agents are overseeing the sale by Vivien Leigh’s grandchildren of her former home in Wiltshire. 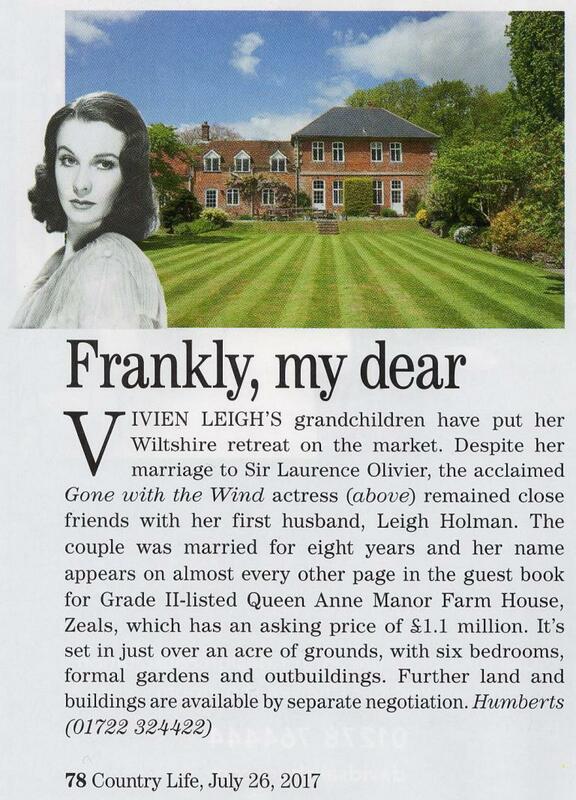 No further news articles about Vivien Leigh.